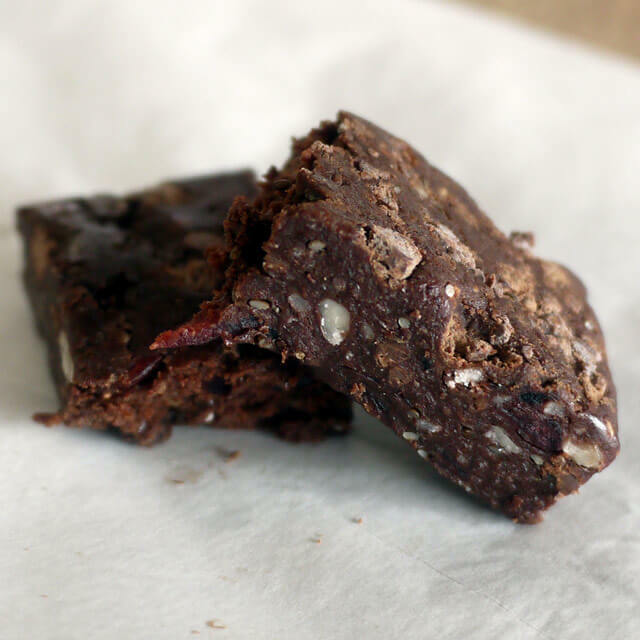 These are actually designed for kids, but we love them, who wouldn’t when they have choc chunks in them? Delicious! 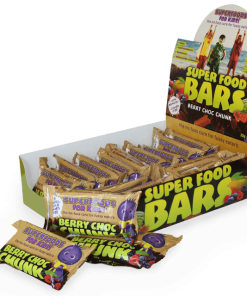 The ‘Superfoods For Kidz’ Berry Choc Chunk Bar has proven to be a real favourite among Aussie homes looking to improve their childerens nutrition. 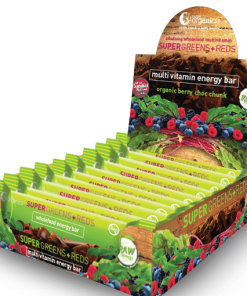 This tasty certified organic wholefood kids bar is packed with magnesium, iron, omegas, vitamins, minerals and antioxidants and is low G.I. 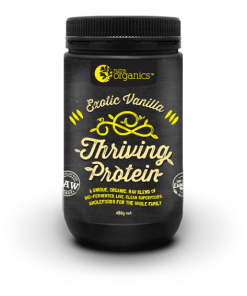 to help sustain energy and support developing minds and growing bodies. 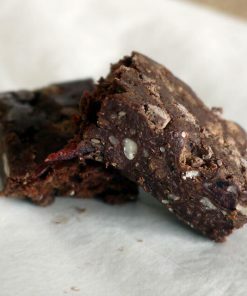 The ultimate kids lunchbox bar: The Berry Choc Chunk bar is a healthy alternative to refined sugar chocolate bars that have been known to cause behavioural issues and learning disabilities in childeren. Can be eaten as a snack, packed for lunch or consumed as an after dinner treat and generally wins over a fussy eater. 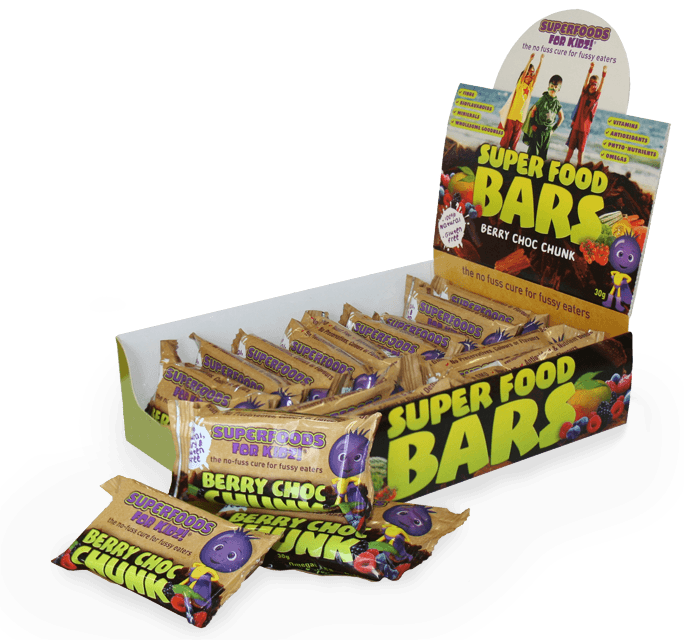 If your looking for ways to replace refined sugar treats in your childs diet, look no further than the Superfoods For Kidz Berry Choc Chunk Bar. 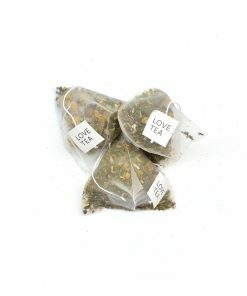 Proudly made in Australia from quality local and imported ingredients. 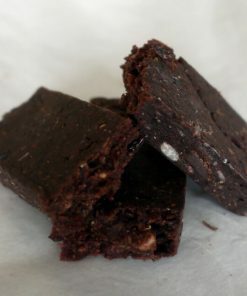 Ingredients: Rice Malt*, Dark Chocolate (8%) [coconut sugar 55%, cocoa mass 40%, cocoa butter 5%], Pea Protein Isolate*, Cranberries, Desiccated Coconut*, Sultanas, Water Hulled Tahini (Sesame Seeds), Flaxmeal, Sunflower Seeds, Cacao*, Berry Choc Chunk [Cacao*, Cacao Butter*, Coconut Sugar*, Vanilla Beans*, Himalayan Crystal Salt, Acai Berry*, Blueberry (2%), Raspberry (1.5%), Blackberry (1.5%), Cranberry, Goji Berry, Mango, Beetroot, Calcium Citrate], Chia Seeds, Fructoolgosaccharides (Prebiotic). 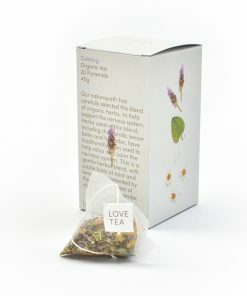 *Certified Organic Proudly make in Australia from local and imported ingredients. Allergen Warning: This product contains sesame seeds (tahini). Despite our very best cleaning efforts, it may also contain traces of tree nuts, peanuts, milk products, egg or soy due to shared processing equipment. 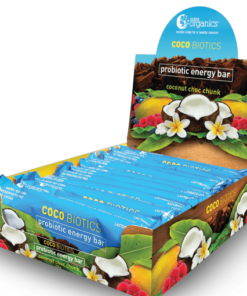 NOTE: BAR STORAGE Our bars are able to be stored at an ambient temperature however we do recommend that they are refrigerated. 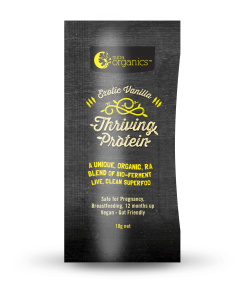 Storing bars at an ambient temperature, coupled with the fact that our products are 100% preservative free and add in Australian humidity - Well, it is best that the bars are refrigerated for optimum freshness and shelflife.